Mealstub was a creation of Cloudmanic Labs, a development company located in Portland. I connected with the head of Cloudmanic at a networking event, and he contacted me to do contract work for Cloudmanic. At that point, my web design work involved mostly brochure sites, landing pages, and ads. 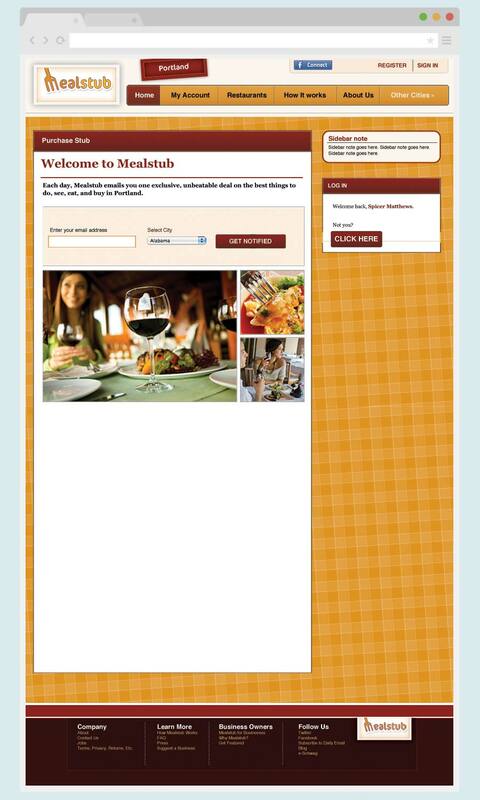 Cloudmanic would mark a career shift for me, into UI design for web applications, and the beginning of my user experience education. Mealstub was created to capitalize on the rise of online coupon sites. 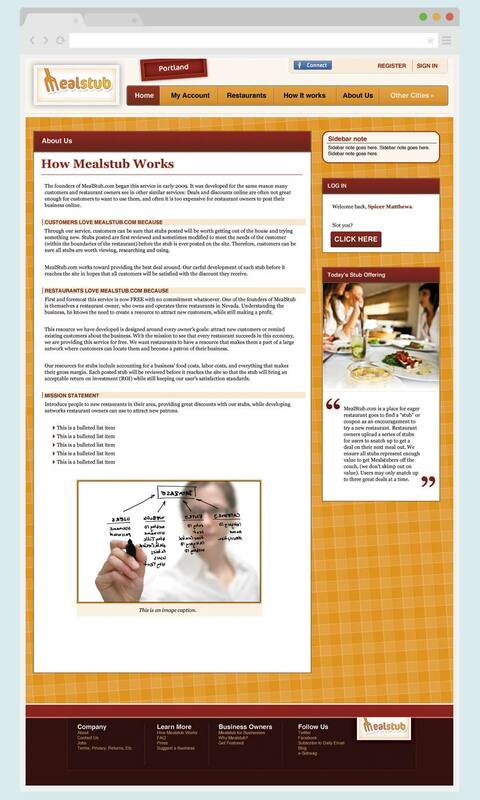 We wanted to create something that not only provided a service to connect customers to businesses, but was also fun to use. After designing the pre- and post-launch landing screens, I moved on to the application itself. 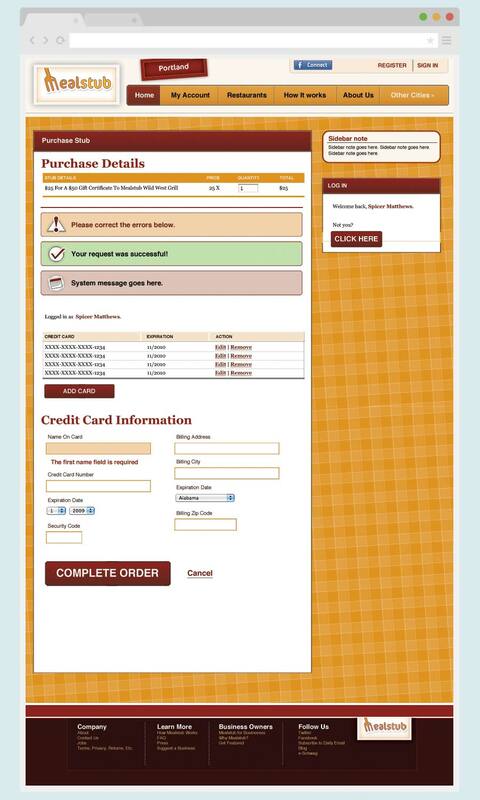 We needed screens to provide information about the company, user help, available deals, user sign ups, and checkout. These screems showed all of the possible states and messages that the user could encounter. Mealstub never made it to launch. 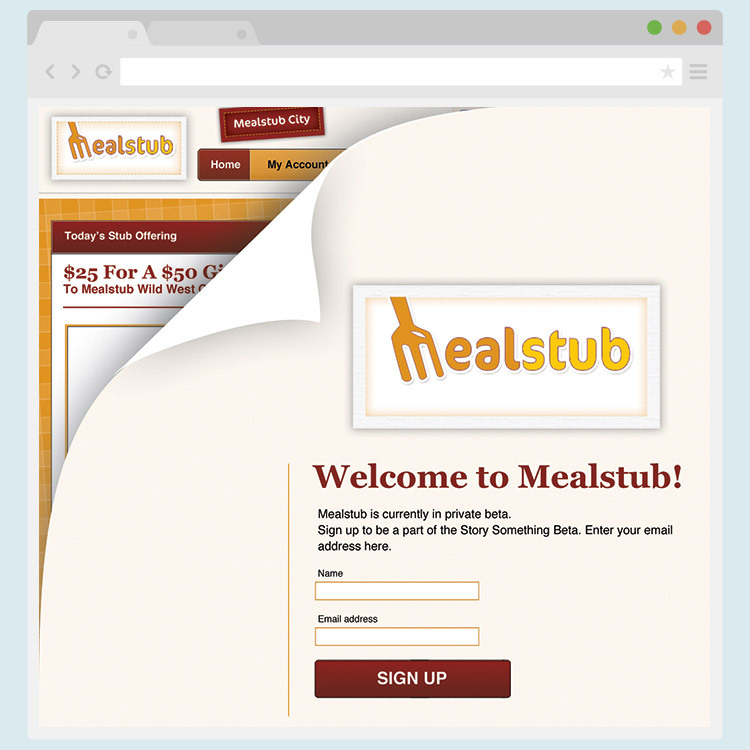 While in development, a competitor became aware of what we were building, and purchased Mealstub, before it could get off of the ground. 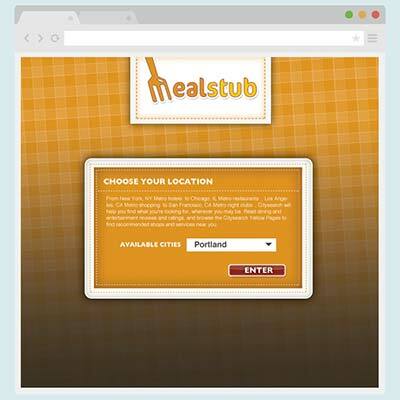 The ideas we created with Mealstub were largely incorporated into their product, Forkfly.